This is so genius!!!!! Your handwriting could actually be part of a patterned paper it is so pretty! LOVE the page, love the subject and love the idea! A frat solution and such a soft and pretty page. You do the sweetness of those macaroons full justice :). Love this LO and great idea for the journalling...will have to try this out. Thank you for your sweet words about my blog! I am loving seeing more posts from you pop up! That heart is so clever and the map paper is gorgeous. 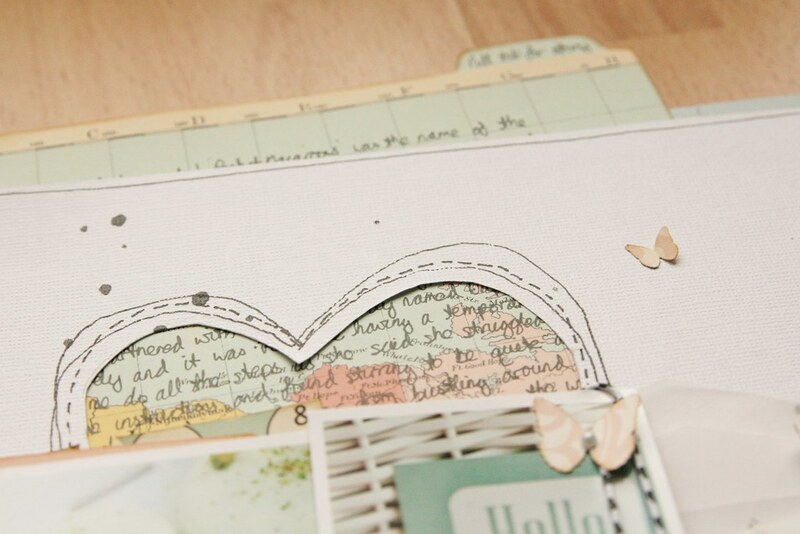 ::sigh:: such a beautiful page and a fantastic idea for including a lot of journaling. I definitely want to try this soon!!! Just found you via Pinterest... love this layout. As a fellow storyteller, with a passion for wordage, I find this genius. Hello, Miss Smith! I found you via Pinterest and I am very impressed by your scrapbooking style. So clean, harmonious and cool! Love this layout.